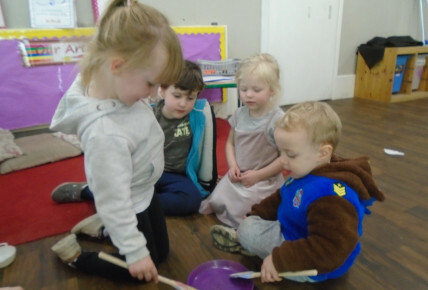 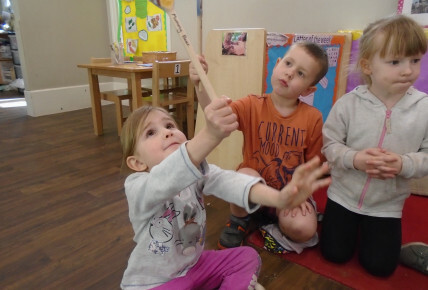 The pre school children have been using props and wooden spoons to tell the story of Goldilocks and the Three Bears. 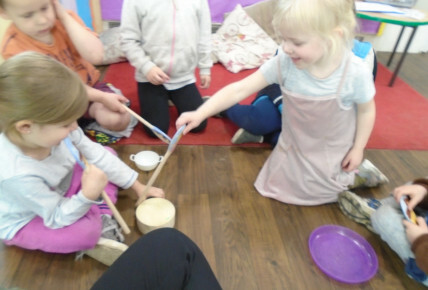 The children each had a spoon each to represent their character and as a staff member would read the story the children would act out what they had heard the staff member say. 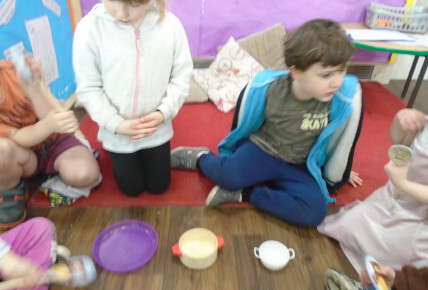 Throughout the story the children were also asked mathematical questions looking at the different sized objects, categorising them according to there size. 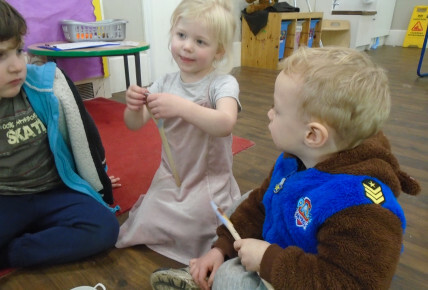 The children would discuss this between and were able to correctly put them into size order before carrying on with their role play.